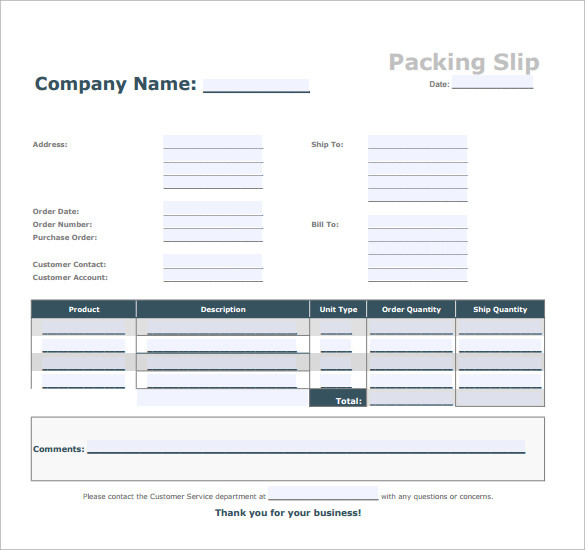 Businesses using sales invoices will find packing slip template also helpful. 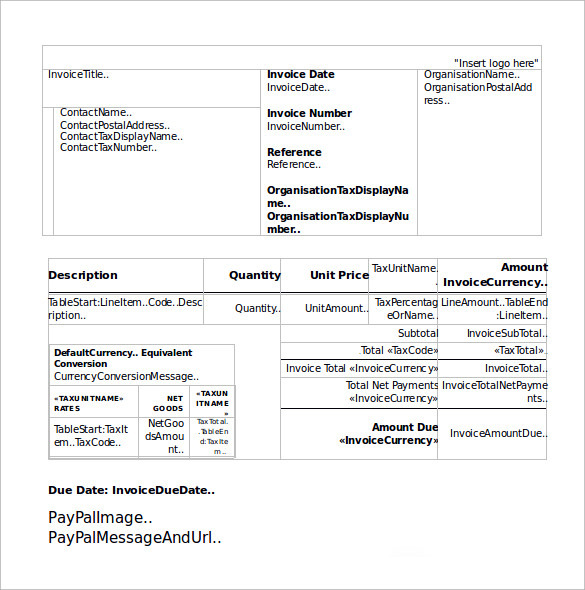 Sometimes business organizations prefer to include sales invoices along with the shipment which creates confusion for the customers who has already made the payment. Packing slip indicates the Packing Lists items that the customers should expect to get inside the box and also whether the items are on backorders or on reorder. You may like Shipping Slips. You can also include your comments or any additional information that you feel vital to be communicated. Explore the easy download options available in formats like PSD, PDF, MS Word and many more. Choose the one that perfectly suits your requirement. This is a delivery packing slip template that is written with the company’s name in huge font. It contains the items to be shipped, the type of delivery to be made, along with an approved stamp. With nice color and design, it looks attractive and easy-to-read. This is a detailed packing slip template with details of the shipping and the billing address, and the items to be packed and delivered. There is also some space for a gift message and other additional information that is worth mentioning. There is space for barcode as well in the right. 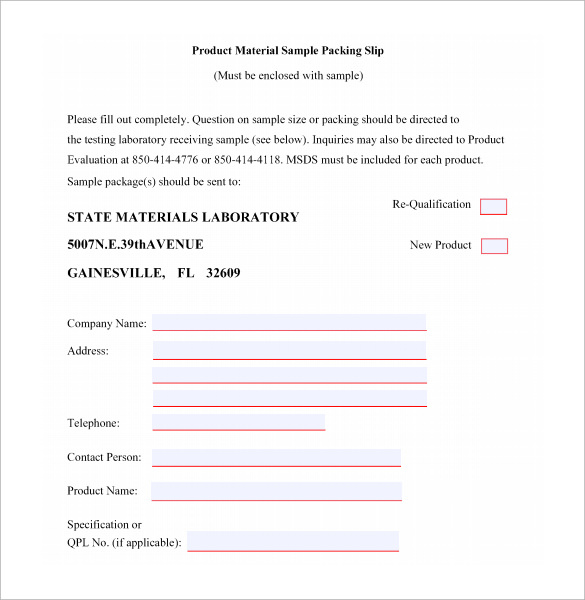 This is a product material sample packing slip that needs to be attached with a product sample being delivered. It is mostly used by laboratories receiving samples for testing purposes. It generally contains the product details, along with the details of the company, including its name, address and contact details. It is a professionally designed shipping document template that any company can use to enlist shipped items and confirm their details. You can print them out and use them to attach with your shipments in future. This shows your professionalism and seriousness towards your profession and deliveries. Why Do You Need a Packing Slip Template? Packing slip templates are needed by companies that need to make deliveries from one address to the other. 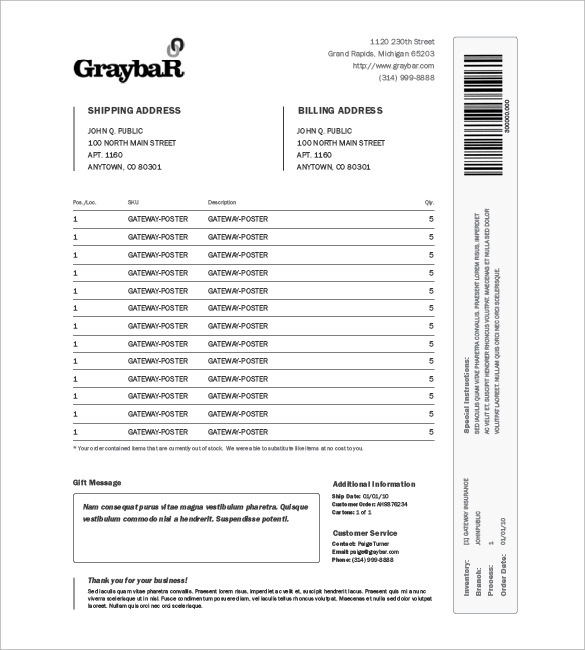 Whether you make deliveries regularly or just once in a while, these packing slip templates can actually come to your help to make professional looking packing slips to be attached with the shipment. It is a shipping document which you have to send with a delivery package, generally inside a separate pouch or pasted on the package itself. You can use it to mention an itemized detail of the inside contents. It finds great application in transport agencies, delivery companies, etc. You may like Delivery Slips. 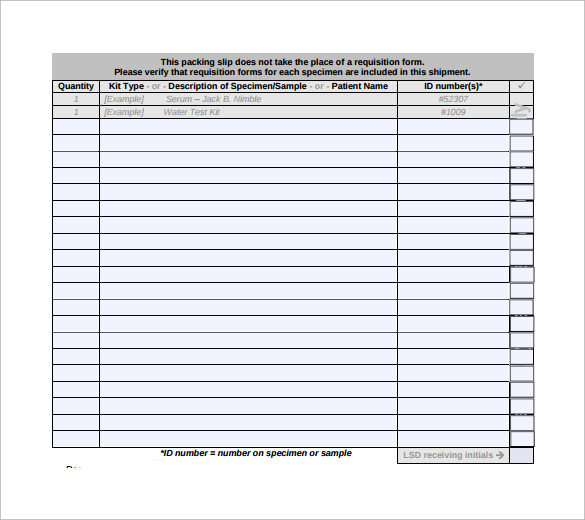 When Do You Need a Packing Slip Template? Whenever you want to ship something to an address, you need to attach a packing slip with it and mention all the details of the product being delivered. Without a packing slip, the receiver will not be able to know what’s inside the package before actually opening it. So, if you are a company dealing in products, you need packing slip templates to mention what you have delivered. You can also see Cash Slips. A packing slip template is an important document in the industry of transportation and delivery. You need it whenever you ship a package, but getting it designed by a professional consumes too much time, money and effort. These templates can actually save your money, as you can use them to design your packing slip for free. Just download the template of your choice and use it to create a professional looking packing slip within minutes. Packing slips are essential items in delivery companies and businesses dealing in any kind of products. 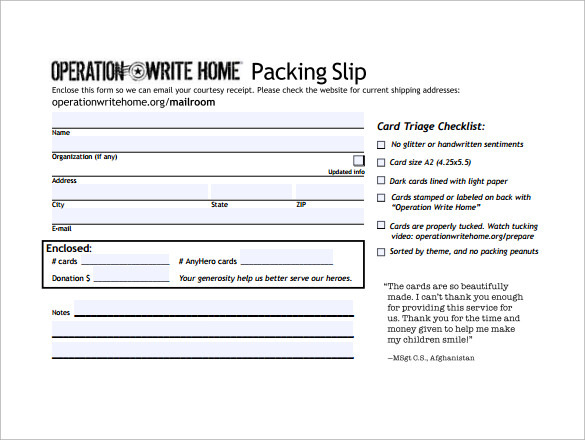 Use these packing slip templates to design them professionally on your own, and save a big deal of time and money. With itemized detail on the top of the package, your receivers can know what’s inside.